As a teenager, one of my favourite things to read were interviews. I enjoyed the closeness and the touch of intimacy that some interviews can create. They always felt very human to me. The details, the nuance, the tone of voice, the setting – I imagined it all, putting it together piece by piece. I wanted to be in that chair, asking the questions, probing the brilliant minds who had built something worthwhile. And I got lucky! I was fortunate to conduct tens of interviews with people from a range of different fields, from digital communication to electronic music. I admit it, I got pretty excited when someone told me: “that’s a really good question!” Partly because it calmed me down and confirmed that I wasn’t making a complete fool of myself (which is a given when interviewing people so much smarter/skilled/talented than I am), and partly because I saw that sparkle in their eyes that said “ah, a challenge!”. Really good interviews – like all great readings – will teach you something. They’ll leave with you a thought, or, better yet, a question whose answer will make you do some soul-searching. That’s why I wanted to start an interview series for the blog: because I want to learn, especially from people who do the work and do it well. When I first thought about this series, I knew that one of the first interviews will be with the Shutterstock team. Creating content for other content creators seems rather challenging (and meta). Quick disclaimer: me and Shutterstock have an ongoing partnership that adds a touch of expressiveness to my posts through visuals of all kinds, so I keep up with their content marketing projects. As a result, I wanted to find out what it’s like to be in the content marketing team at Shutterstock. Kashem Miah, Global Social Media & Content Marketing Director, was kind enough to share some of his experience in the answers below. 1. How has the way Shutterstock engages in content marketing changed in the past 2-3 years? 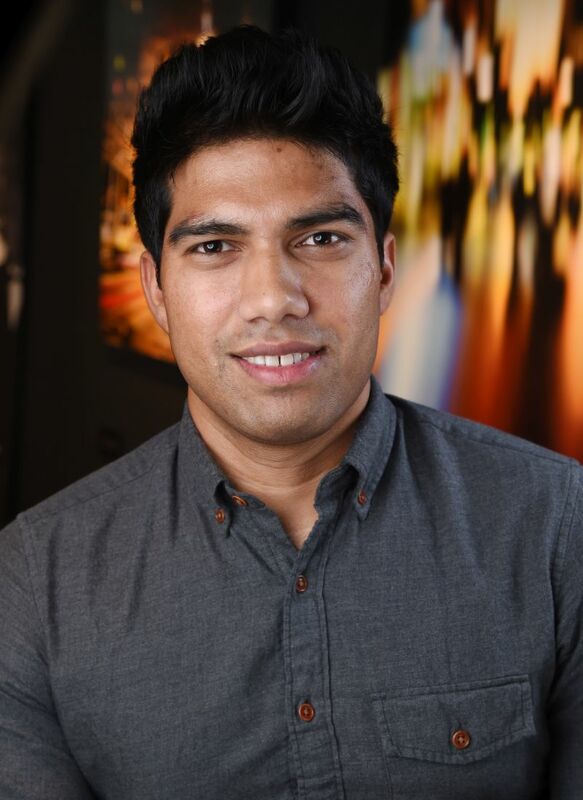 Kashem Miah: Even though forms of content marketing have been around for a while, it’s still a new term within the marketing landscape today. At Shutterstock, we’ve moved away from just publishing everything about Shutterstock and its products and moved into hyper-focused content that serves our customers’ needs and offers them what they will find interesting or inspiring. That is an exercise that requires looking at our traffic sources and better understanding customer behavior and topics that are proven to resonate well with them. Kashem Miah: All of our content marketing efforts are developed to impact one another. The blog is our primary channel to showcase the amazing things that can be done with our assets, but the other channels play an integral role in getting targeted content into the inboxes and news feeds of our customers. All of our content ladders up to a larger theme that aligns with company objectives, and each channel plays a critical role to amplify that message. 3. How has content marketing helped Shutterstock in terms of branding, community building, PR and sales? Kashem Miah:Many brands have been doing some form of content marketing without really calling it that for years. From e-books to PDFs to video series, it’s all been done before. Why it’s important now though is due to the number of targeted ads that show up all around us. Content marketing cuts through the ads and provides valuable information for a specific audience looking to make some sort of purchase decision. We weave that sense of storytelling into other areas of the business including PR and sales. For instance, one of big initiatives we work on every year is to provide our customers with data-focused infographics, encompassing search information from within Shutterstock’s database. These reports help Shutterstock emerge as an authority in not only the stock photography space, but also the larger world of digital media. Infographics like our recent celebration of trends we’ve witnessed to help shape the future of imagery are labor-intensive however they provide proven value for both branding and revenue. 4. How is the content marketing team organized? Kashem Miah: We currently have a very lean team of four members. Responsibilities are allocated accordingly, with members focusing on specific areas such as product updates, creative inspiration, the contributor community, and more. Every team member is expected to own their projects from start to finish and to demonstrate the inspiration we hope will rub off on our readers and followers. 5. What is the main source of ideas for content marketing: the content on Shutterstock, users’ suggestions, research, etc.? Kashem Miah: Not only do we use our internal data to create infographics to share with the world, we also factor in trending topics. This combination allows us to be creative, educational, and also responsive. Take for example our Olympic infographic, which highlights the growing search trends leading up to this past summer’s Rio games. 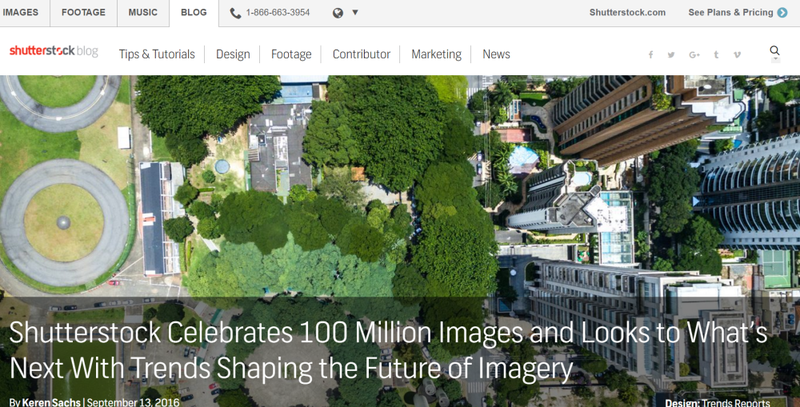 We pay close attention to big events and want to showcase how Shutterstock’s data and collection can fit into what people are already excited about. 6. What are some content marketing projects that you’re really proud of? Kashem Miah: We’re always proud of our infographics. They require multiple levels of coordination but when they come together, it’s an amazing achievement. Every year around the Academy Awards, we produce a Pop Art poster series as a fun take on the posters for the Best Picture nominated movies. It’s a regular staple of our content marketing, and something people know by now to look forward to each spring. The other major work we’re proud of is how we can assist with company product updates, such as our recent Adobe Photoshop plugin launch. We highlighted the benefits of the tool while simultaneously working with our design team to build a video of our entire design team collaborating to create one big project. This is prime example of how having access to a talented group of designers, like we do, on our team enables us to dream bigger and differently, to truly lead by example. Our customers see a real-world example on our blog which will help them get their own ideas off the ground. 7. What do you think the next big trend in content marketing is, in your opinion? Kashem Miah: There are two trends I want to focus on: One is how to use live video from social media platforms such as Facebook and Twitter to create evergreen content. Some people are already playing with this space, but there’s a lot more to be done. The other is being able to measure the impact of content marketing or come up with a model that shows the many different areas of the customer journey that content has touched. Marketers often forget that just creating and distributing content doesn’t itself lead to sales. It’s a strategic effort to conceive of targeted content that is helpful or interesting to the reader, in a variety of formats so a customer will continue to be exposed to it over time. When they are finally ready to make a purchase, that winning brand will be at the top of their mind. Thank you, Kashem, for taking the time to share some of your experience with me! PreviousPrevious post:The follow-throughNextNext post:How do I know?